The Client Personal Wizard contains a field to record the FinPa Participant Key. Drop the list down to see the client's FinPa key for each FinPa brand. This field is blank if the client is not in FinPa. 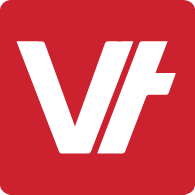 When a client is transferred from VETtrak to FinPa this field will be automatically set to the client's VETtrak client code. If a client already exists in FinPa, the user can manually set this field to match their existing FinPa participant key. The FinPa Participant Key must be unique - if you attempt to set this to a participant key that already exists for another client, an error message will be displayed and you will not be able to proceed.